As children explore the world of nature, they become comfortable and confident in learning ​from the natural environment of God's university. Our Stories and Nature Adventure Resource Guide provides a list of stories and activites that children may participate in as they study nature. The schedule of quarterly themes allow families to read about the wonders of nature year after year. 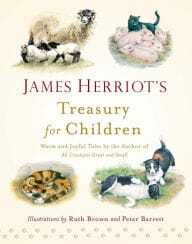 James Herriot's Treasury for Children and stories by Clara Dillingham Pierson and Thornton Burgess are a wonderful addition to your story library for children studying animals and nature. Children ages 5-9 will especially enjoy listening to these delightful read-a-loud stories.